Category: Other Titles. Tags: Landscapes, Midlands. Content: The midland counties of Ireland contain a wealth of natural, archaeological and historical features. Some of these, such as Clonmacnoise, are well-known regionally or nationally, while the location and importance of others, although known locally, may be more closely guarded secrets. 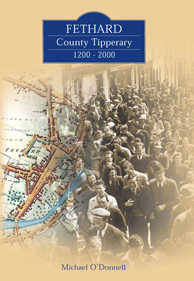 Accordingly, this book aims not only to describe the well-known but also the many hidden jewels within this central area of Ireland. 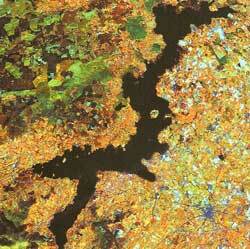 The book is unique in its treatment of the Irish Midlands, in that, it integrates three landscape themes: physical, archaeological and historical. One theme cannot be considered in isolation from the other two. The first two sections provide background discussions of the themes; section I relates to physical aspects of the midland landscape, while section II concerns its temporal archaeological and historical development. 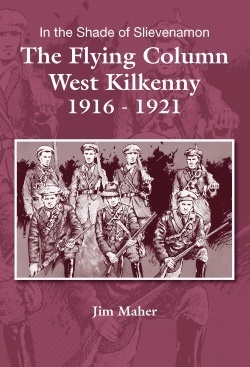 Section III is the major part of the book, where the themes are fully integrated into nine driving itineraries through the Irish Midlands collectively amounting to a distance of over 1,000 kilometres. Two criteria were involved in choosing the routes. The first was a geographical dimension, thus the itineraries encompass nine counties – Laois, Offaly, Westmeath, Tipperary, Meath, east Galway, Longford, Roscommon and Kildare – and pass through the major towns. The second was to include a wide range of features, both natural and anthropogenic within the book. Discussion of aspects of the physical landscape, such as the rivers and glacial landforms, will interest geologists, geographers and hydrologists, while the information regarding the human heritage landscape will appeal to the archaeologists and historians. However, the book’s presentation style makes it accessible to a much wider readership, including local historians, students or tourists. 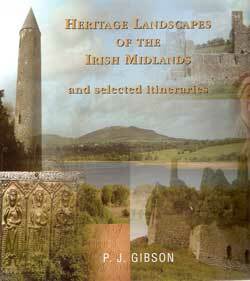 Author: Dr Gibson, a native of Belfast, is a lecturer in the Department of Geography, NUI, Maynooth. 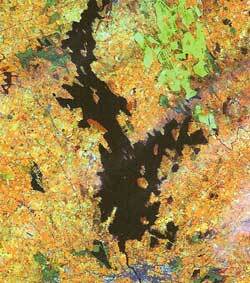 He has published widely in the professional journals on many aspects of physical geography. He lives near Kinnegad, Co. Westmeath.